Interesting alternative to spend some time swimming in Bristol. Is it not your very first time here? Tell us how it went making use of the Facebook comments beneath or contacting us directly! 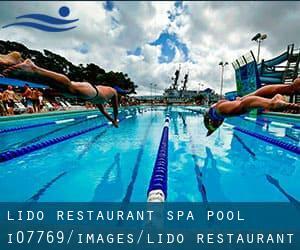 Lido: Restaurant, Spa & Pool is only one of all the swimming pools Swimia is providing you, and its information has been shared with us by a swimmer like you.Remember you can now promote Lido: Restaurant, Spa & Pool by sharing this page with your friends, adding comments and linking to us. This sports centre provides 25 yards, Outdoors. Contact information for this Swimming Pool including phone number and email address are number. Church Road , Soundwell / Kingswood , Bristol , England , UNITED KINGDOM (Postal Code: BS16 4RH). This sports centre offers 33.3 meters x 13 meters (with boom to create 25 meters or 20 meters long sections), 6 lanes, 0.9 meters - 3.8 meters depth, 0.9 meters - 3.8 meters depth, Indoors. Contact information for this Swimming Pool such as phone number and email address are number. Ashton Rd. , Long Ashton , Bristol , England , UNITED KINGDOM (Postal Code: BS 3 2HB). Among all the activities offered by the centre, for anyone who is considering swimming you will enjoy 25 meters x 15 meters, Indoors. Just in case you want to make contact with this Pool just before dropping by, we only know the phone number. Leisure Road , Aspects Leisure Park , Longwell Green , Bristol , England , UNITED KINGDOM (Postal Code: BS15 9LA). This sports centre gives 25 meters, 6 lanes, 1.8 meters maximum depth, 1.8 meters maximum depth, Indoors. Contact information and facts for this Swimming Pool just like phone number and email address are number. Updated on 2019 Elm Park , Filton , England , UNITED KINGDOM (Postal Code: BS34 7PS). Among all the activities supplied by the centre, in case you are thinking about swimming you can expect to enjoy 25 meters, 5 lanes, Indoors. If you'll want to contact this Swimming Pool, email address and phone number are both number. Jubilee Road , Knowle , Bristol , England , UNITED KINGDOM (Postal Code: BS 4 2LP). Among all the activities offered by the centre, if you are interested in swimming you can enjoy 25 yards x 33 feet, 2 meters depth, 2 meters depth, Indoors. Just in case you wish to contact this Swimming Pool before dropping by, we only know the phone number. Greystoke Avenue , Westbury - on - Trym , England , UNITED KINGDOM (Postal Code: BS10 6AZ). This sports centre gives 25 meters x 10 meters, Indoors. For this Swimming Pool, only phone number is number here. Imperial Park, Wills Way off Hartcliffe Way , Hartcliffe , Bristol , England , UNITED KINGDOM (Postal Code: BS13 7TJ). Among all the activities offered by the centre, if you are interested in swimming you will delight in 20 meters x 6 meters, Indoors. Just in case you need to contact this Swimming Pool just before dropping by, we only know the phone number. Thrissell Street , Easton , Bristol , England , UNITED KINGDOM (Postal Code: BS 5 0SW). This sports centre offers 25 meters, 6 lanes, Indoors. Contact information for this Pool such as phone number and email address are number. Henbury School Campus , Hallen Road , Henbury , England , UNITED KINGDOM (Postal Code: BS10 7NG). Swimmers like you reported 25 meters, 6 lanes, Indoors. Phone number and e mail address are number for this Swimming Pool. Fiddlers Wood Lane , Bradley Stoke , England , UNITED KINGDOM (Postal Code: BS32 9BS). This sports centre provides 25 meters, 6 lanes, Indoors. Contact information for this Swimming Pool including phone number and email address are number. Queens Road , Clifton , Bristol , England , UNITED KINGDOM (Postal Code: BS 8 1QS). Swimmers like you reported 20 meters x 8 meters, Indoors. Unfortunately we do not have the email address of this Swimming Pool, but we can give you the phone number.